About Us | Atlanta Consulting & Psychological Services, LLC. Atlanta Consulting and Psychological Services believes in assisting you to achieve your own personal definitions of success and fulfillment. These might be recovering from the experiences of loss, abuse or emotional and/ or physical trauma. Perhaps you wish to develop greater and more holistic senses of self-love and self-respect. Depending upon your goals, we will help you determine which therapy is best suited to your needs. We will discuss some of the problems you are having and make a determination as to whether you might benefit from psychotherapy, what type of therapy is warranted, and whether or not we can help you. Counseling sessions are focused on assisting you with realizing improved levels of wellness with others. From interventions involving relationship coaching to premarital counseling, our services could help resolve the challenges you face with your relationships. We provide psychotherapeutic services and complete psychological evaluations with children, adolescents and adults. Matthew L. Smith II, Psy.D. Dr. Matt Smith is a Licensed Psychologist who obtained his Doctorate degree in Clinical Psychology from the Forest Institute of Professional Psychology. Dr. Smith provides individual, couples, and family therapy to adults and adolescents. His areas of interest include depression, anxiety and stress management, relationship difficulties, divorce issues, grief and loss, and men’s issues. Working from a cognitive-behavioral and interpersonal approach, the goal of his therapeutic work is to help individuals identify and change maladaptive life patterns, develop more balanced attitudes towards themselves and others, develop more satisfying relationships, and improve their ability to manage stress and anxiety. 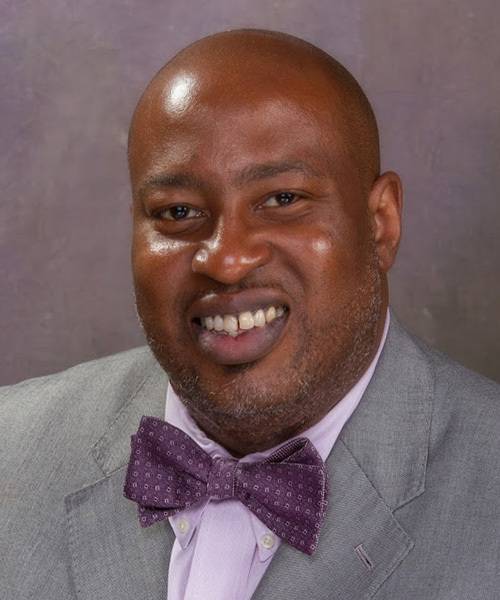 In addition, Dr. Smith also provides consultation for individuals who are struggling with issues such as career development, college and graduate student growth and development, and leadership development. Dr. Smith also conducts psychological evaluations for ADHD and learning disabilities, as well as other mood or anxiety disorders. In his therapy practice, Dr. Smith provides individual and group services, as well as family-based interventions. Common reasons for seeking therapy include difficulty adjusting to life changes and transitions, coping with traumatic life experiences, and difficulty managing feelings, such as depression, stress, anxiety and anger. Other common issues include dissatisfaction in significant relationships, parenting challenges and issues related to body image and unhealthy eating patterns. Dr. Smith focuses on increasing a client’s self-awareness and assists them in establishing new ways to cope with their difficulties that are consistent with the client’s personal values and beliefs. Dr. Smith also leads social skills and parenting groups, as well as workshops for individuals (children and adults) who have been diagnosed with attention problems. Tonya Bell is a native of Anniston, Alabama, and has always had a passion for helping others. She served 10 years in the United States Army before settling down in Columbus, Georgia. Tonya worked for the Muscogee County School District for nine years administering educational assessments servicing half the students in the school district. In 2016, Tonya joined Atlanta Consulting & Psychological Services to continue being of service in the Atlanta area by providing counseling services to adults, adolescents, couples, and families. During Tonya’s time at ACPS, she has been exposed to a wide range of clientele involving severe trauma, family conflict, depression, anxiety, as well as other mood disorders. 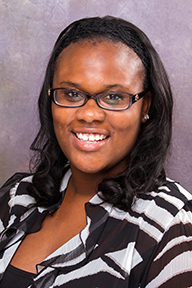 Tonya holds a Master’s Degree in Marriage, Couples and Family Counseling and a B.A. in Social Sciences with a minor in Psychology. Tonya is an affiliated member of American Counseling Association, International Association of Marriage and Family Counselor and Licensed Professional Counselors Association of Georgia. 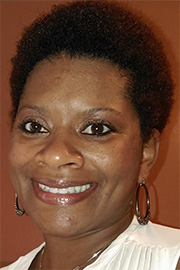 Racquel D. Moore is a passionate Master’s Level Clinician with a Master’s of Science degree in Marriage, Couple, and Family Counseling with a specialization in Trauma and Crisis from Walden University in Minneapolis, MN. Racquel is currently working towards her goal of becoming a Licensed Professional Counselor who specializes in helping trauma victims. Racquel provides counseling services to children, individuals, couples, families, and adolescents. Prior to entering into her Master’s program Racquel received her Bachelor’s of the Arts in English from Clark Atlanta University in Atlanta, GA. She has worked in various settings that elicit education, mentoring, counseling, perseverance, and volunteer services for those in need. An avid reader, Racquel sometimes deems herself a “bookworm” as she is constantly reading fiction and non-fiction novels in her spare time and always trying to gain knowledge on how she can improve her counseling skills. Racquel specializes in administering and psychological evaluations, trauma and crisis counseling, and couples and family therapy.